As parents, we’ve all heard about the terrible twos. If your child is approaching his second birthday, there’s no need to be anxious. With the following parenting tips, you can make sure you’re prepared for everything to come. Tantrums are likely when your child’s emotions are heightened. If that does happen, patience is your friend. Bring your child to a quiet space and take the time to console them, which will help you both weather the tantrum together. 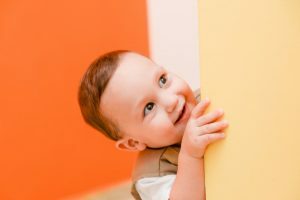 By taking your time to understand why the tantrum may have happened, you can learn how to anticipate or potentially prevent future outbursts. When your child reaches the age of two, it can feel like they are constantly on the move! To harness their seemingly endless energy, we suggest planning ahead to keep them occupied. By having a schedule in-place – and allocating time for a much-needed nap – it will be easier to keep your child happy and healthy. Some activities you can plan to do with your two-year-old are a trip to the park, paint-by-number and watching their favorite movie! Taking your toddler to the store with you can seem like an impossible challenge. By planning ahead and shopping smart, this doesn’t have to be true for your family. On your next shopping trip, look for carts with straps specifically designed to accommodate your two-year-old. Do you have two children? Some retailers offer the Shop-Along, an attachment designed to help parents shop safely with multiple little ones in tow. Children go through many different ages and stages. Our job as parents is to support them and help them remain safe, healthy and happy. As they develop, use parenting tips to help you navigate what’s to come. Before you know it, you will have successfully tackled the terrible twos!